A studio and stage stalwart. A 4-channel professional-quality passive direct box for connection of unbalanced musical instruments and line-level sources to low-Z balanced microphone inputs for PA or recording. 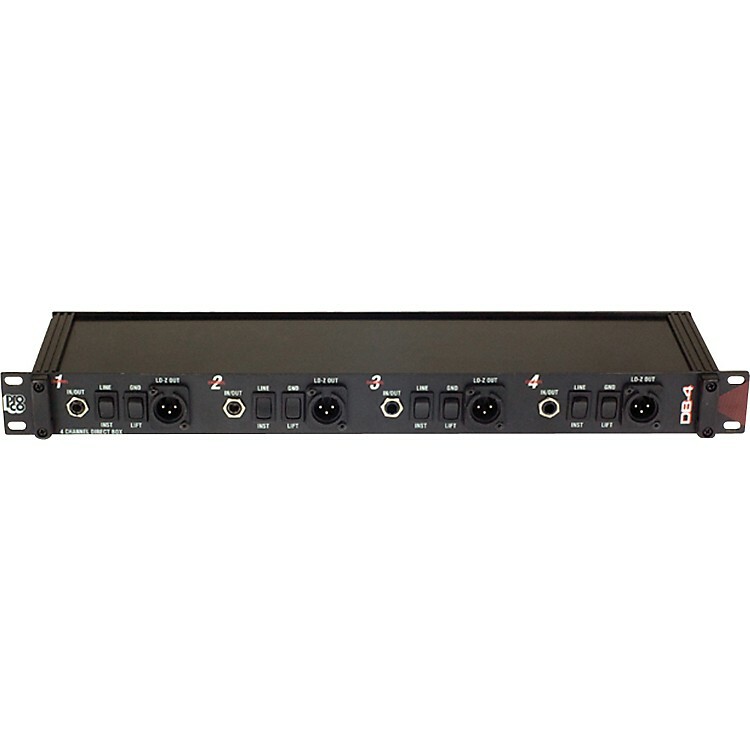 Each channel features one front-panel and 2 rear-panel 1/4" (6.35mm) jacks for input or parallel output, switches for line-level attenuation and ground lift, and front-panel male XLR-type output. Uses Pro Co DBT-1 transformers (20k/150 ohm).